People in Gary want to know if someone set several abandoned homes on fire overnight. GARY, Ind. 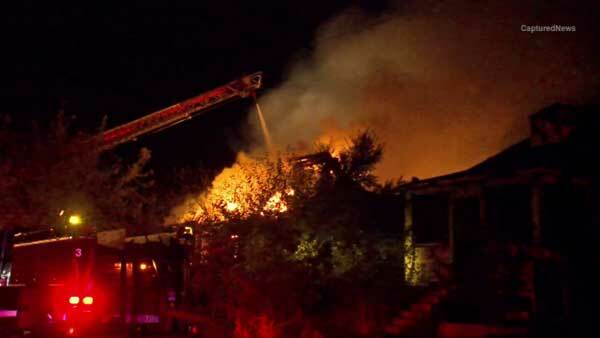 (WLS) -- People in Gary want to know if someone set several abandoned homes on fire overnight. A witness said there was a strong smell of gasoline before fire spread from one home to another in the 2500-block of Polk Street. The smoke and flames were so intense that drivers could see them from Interstate 80/94. Firefighters struggled to get them under control overnight. There were no reports of injuries. So far, the cause of the fires is unclear.